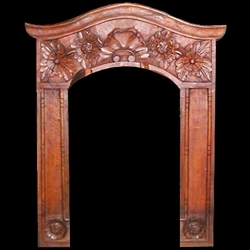 Museum Replicas offers a variety of door surround styles, including elliptical, eyebrow, flat, gothic, and half round. Our window surround styles include eyebrow, full circle, half round, and oval. When you pick "Museum Replicas" as your architectural building product supplier, you can count on our superior customer service to help you efficiently, creatively and rapidly execute your building project.